What is Premature Aged and Environmental Damaged Skin? Research shows that there are 2 distinct types of Premature Aged skins. Aging caused by the genes we inherit is called intrinsic (internal) aging. The other type of aging is known as extrinsic (external) aging and is caused by environmental factors, such as exposure to the sun’s rays and free radical damage. Active Enzyme Exfoliator is a complete natural product scientifically researched and developed to thoroughly exfoliate the excess dead cells of the Stratum Corneum. 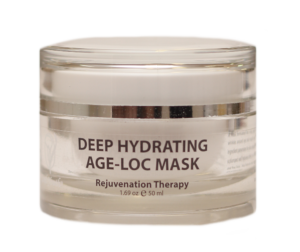 Deep Hydrating Age Loc Mask is formulated for a dry, sensitive skin with. The highly active ingredient penetrates the skins deepest layers that result in a well hydrated skin. Also have an excellent effect on flakiness and eczema skins. 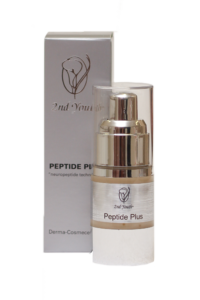 Peptide Plus contains several peptides and neuropeptides. Natural function of the skin will be normalised up to 87%. The neuropeptides normalise the skin’s metabolic energy system and result in a rejuvenated, wrinkle free appearance. With continuous use the result will be a 92% lifted skin appearance. 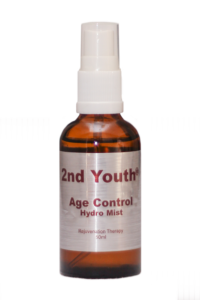 Age Control Hydro Mist contains Sodium Haylaronate. 98% successful in reducing in the depth of expression lines and wrinkles. The active ingredient Argeraline (a neuropeptide) relaxes the facial muscles to leave the skin’s appearance youthful and revitalized.